. . . that at least sixteen passages in the Gospels say Jesus was teaching but do not record his words?
. . . that Mark wrote in his Gospel that Jesus taught the multitudes only in parables but when He was alone "He expounded all things to his disciples"?
. . . that Clement of Alexandria, an early Church Father, wrote that Jesus had a secret teaching not recorded in the Gospels and that Mark wrote down part of it for those who were "being initiated into the great mysteries"?
. . . that gospels that may have contained Jesus' original teachings were banned and destroyed by the orthodox Church because it disagreed with them?
. . . that Jesus was almost certainly literate? And therefore anything He may have written was either suppressed or attributed to other authors? 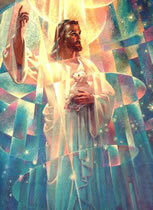 in The Lost Teachings of Jesus Mark L. Prophet and Elizabeth Clare Prophet have reassembled the Heart of Jesus' Message. This breakthrough . . .
in modern religious writing documents the loss of the Master's Words. And then sets forth the lost teachings Jesus gave to his disciples two millennia ago-and the very personal instruction He is now unfolding to those whose hearts are inclined to Truth. Here is a work that is at once inspiring yet profound, entertaining - yet full of practical spiritual advice you can use to master the circumstances of your life. And work the "greater works" Jesus promised in order to turn back the approaching darkness of the Four Horsemen of the Apocalypse - war, famine, pestilence and death. The Lost Teachings of Jesus addresses the real issues of life - from love to war - and comments on everything from how we influence our own genetic makeup to techniques you can use to re-create yourself in the Divine Image. Now you can discover the astral causes of cancer, how you are affected by the thoughts and feelings of peopk all over the world, and how you can use the Science of the Spoken Word to help yourself and others fulfill the highest potential. For the first time you can learn the meaning of many of Jesus' sayings that no longer seem to make sense - puzzling aphorisms like "For he that hath, to him shall be given; and he that hath not, from him shall be taken even that which he hath," "Before Abraham was, I AM," and "Behold, the Kingdom of God is within you." The Lost Teachings of Jesus does more than illumine the scriptures. It sets forth the Everlasting Gospel dictated by the Master to his two witnesses for the enlightenment of an age. 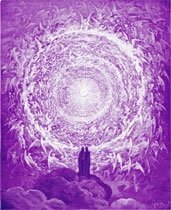 It is the key to the sacred mysteries essential to the fulfillment of your immortal destiny. 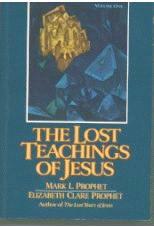 In Volume 1 the Prophets show that many of Jesus' original teachings were lost. Some were removed from the Gospels. Others were suppressed or kept secret. And those that were included in the Bible were tampered with by editors and copyists. In this landmark series, the Prophets reconstruct the essence of Jesus' message and give the Master's advice for people living in these complex times. And they answer questions that have puzzled readers of the Bible for centuries. Includes effective techniques to tap the creative power of your Higher Self.